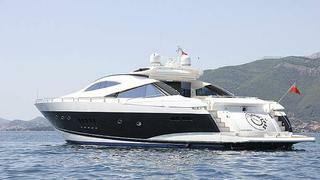 Debbie Beere at Dbeere Yachts tells me she's now signed the 28.78m motor yacht Timeless C for sale. A striking Sunseeker Predator 95, she was delivered in 2002 and accommodates eight guests in four staterooms while twin 2,000hp MTU engines give her a top speed of 35 knots. Lying in Montenegro, Timeless C is asking €1,250,000.